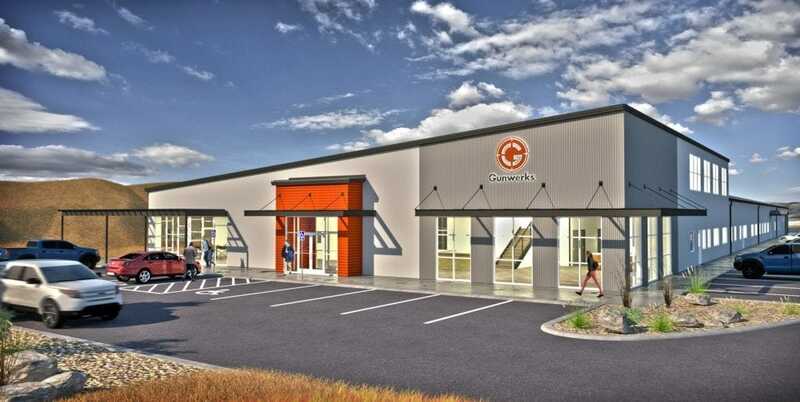 Long range rifle maker Gunwerks moved to expand their operations in Cody, Wyoming with a recent groundbreaking which is slated to add jobs to the community. The planned 44,396-square-foot building on a 5-acre site will be both the company’s new headquarters and manufacturing facility. Funded by loans and grants from Forward Cody and the Wyoming Business Council, the $5.45 million site is slated for completion in Feb. 2020. Gunwerks CEO, Aaron Davidson, said the move was needed. The planned nearly 45,000-sq. ft. facility will be Gunwerks headquarters and factory, allowing them to nearly double their staff in the next five years. A public ground-breaking was held at March 26, attended by 60 Gunwerks employees and local economic development representatives. The Gillette News-Record reported that Gunwerks will nearly double its workforce and by 2025 add more than 50 new high-paying jobs to the area and buy $5 million in equipment for the new facility. Founded in 2007, Gunwerks has produced a number of innovative precision rifles such as the HAMR and ThumpR over the past several years. They also host a long-range shooting competition, the Monster Steel Challenge. Wyoming is fast becoming a home to the firearms industry with formerly Colorado-based Magpul and HiViz Shooting Systems moving their production facilities there in 2013 after a gun control push in that state. In 2018, rifle and shotgun maker Weatherby moved their corporate headquarters and manufacturing center from Paso Robles, California to Sheridan, Wyoming, after over a year of negotiations that concluded with a $12.6 million grant package. The state is already the home of Sharps Rifles in Glenrock and Thunder Beast Arms in Cheyenne.